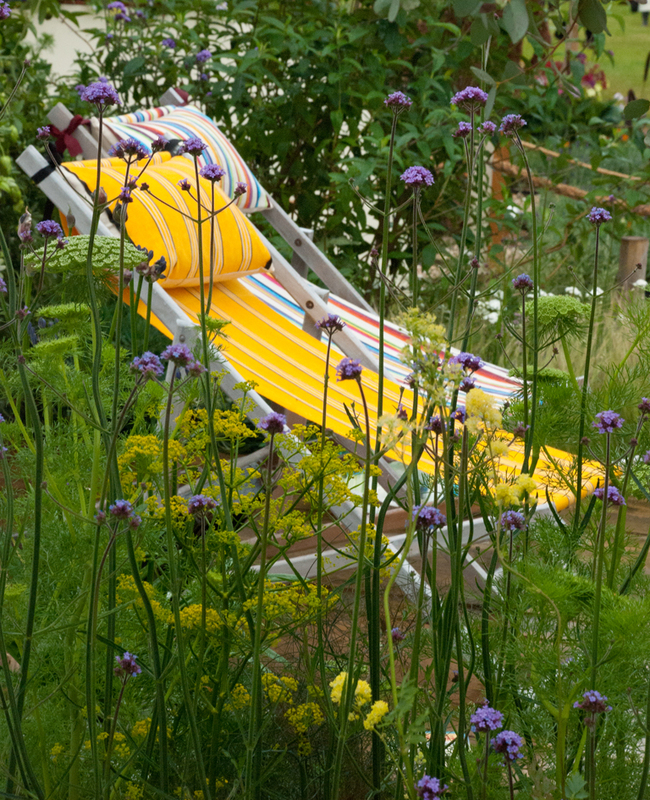 I promised to share some more pictures from the Hampton Court Flower Show so today I thought I’d show you my pick of the Summer Gardens. There were 15 gardens in this category. 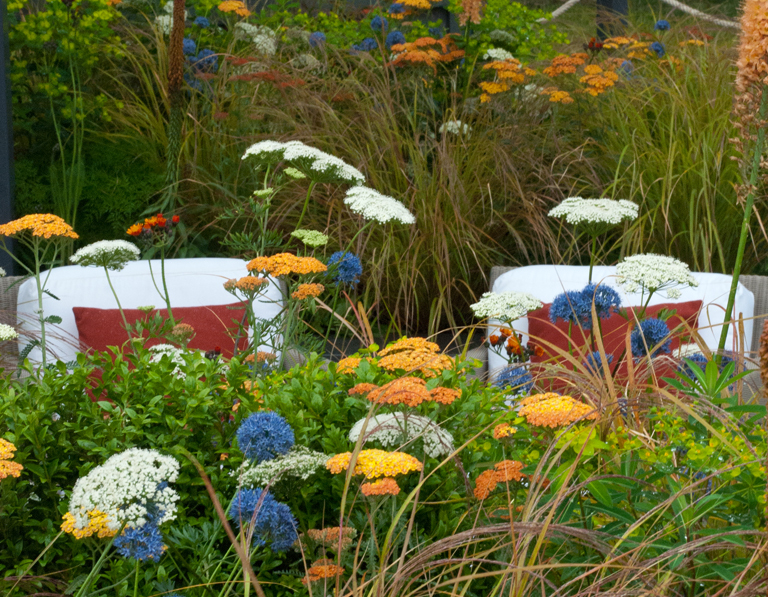 The Landform garden was designed by Catherine MacDonald and was sponsored and built by Landform Consultants. 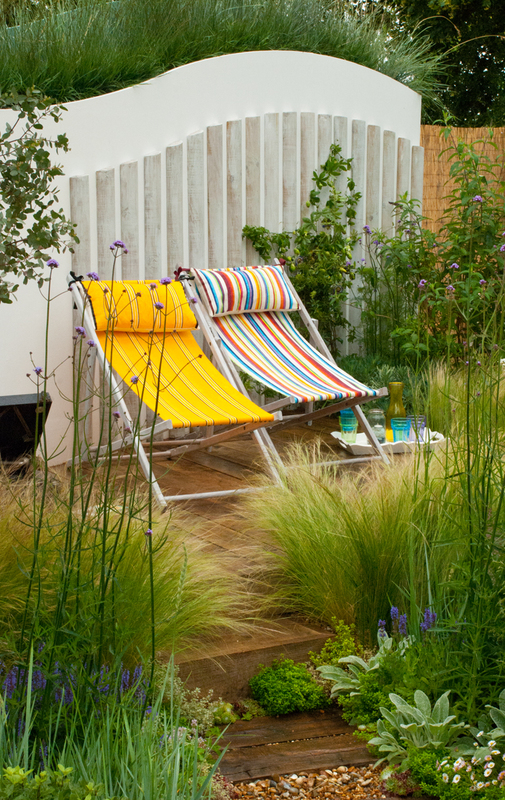 It won Gold and Best Summer Garden and it wasn’t difficult to see why. 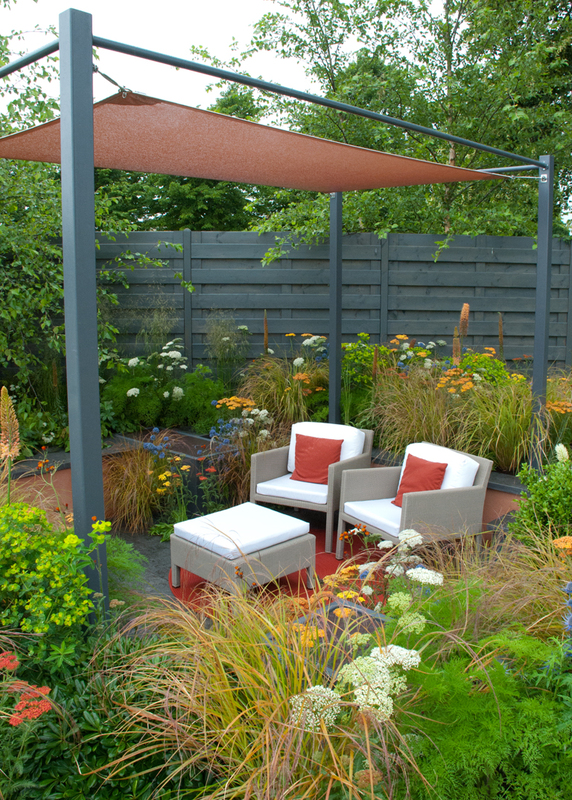 I loved the planting in this garden – rich and warm and perfectly in tune with the steel pergola and grey boundary fences. The garden was inspired by the High Line in New York, the linear park that was created along a derelict elevated railway line. It had a contemporary yet relaxed feel about it. 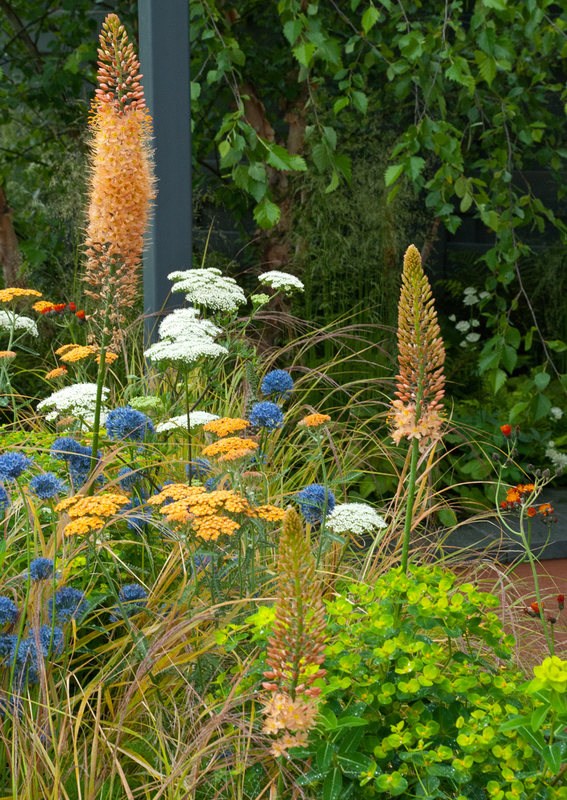 I couldn’t not talk about this garden because it was designed by my friend Jayne Thomas. I have to add that it’s not the only reason I’m featuring it here, I thought the garden was wonderful. 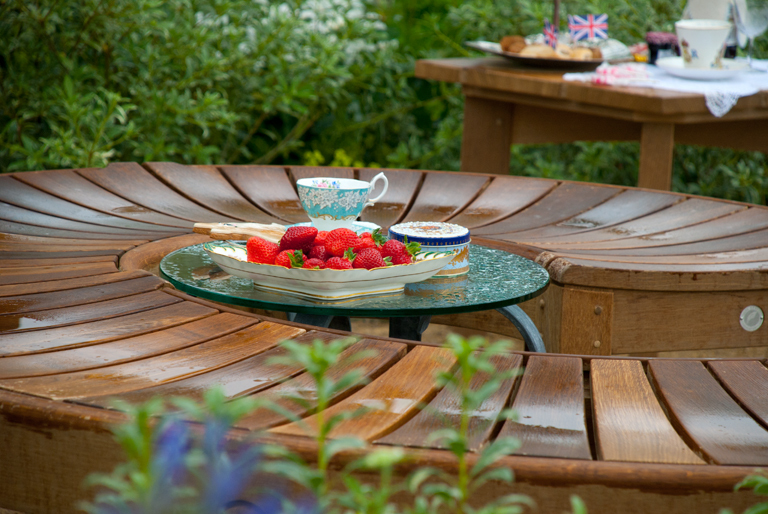 When I spoke to Jayne on Press Day she was telling me about the challenges she had with the planting – she even had to raid her garden on Press Day morning because one of the roses had develped mildew the day before! Jayne was awarded a Silver medal. What I loved most about this garden was that you could imagine it being your own. 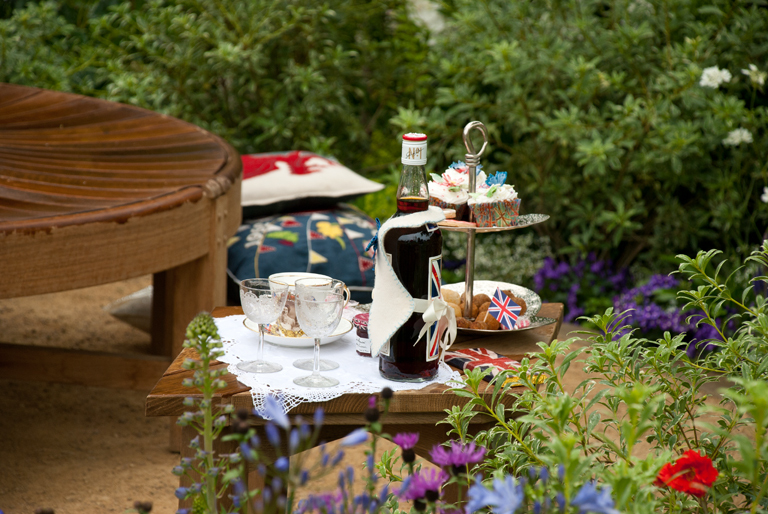 The garden was designed for the Queen’s Diamond Jubilee, a very British garden. 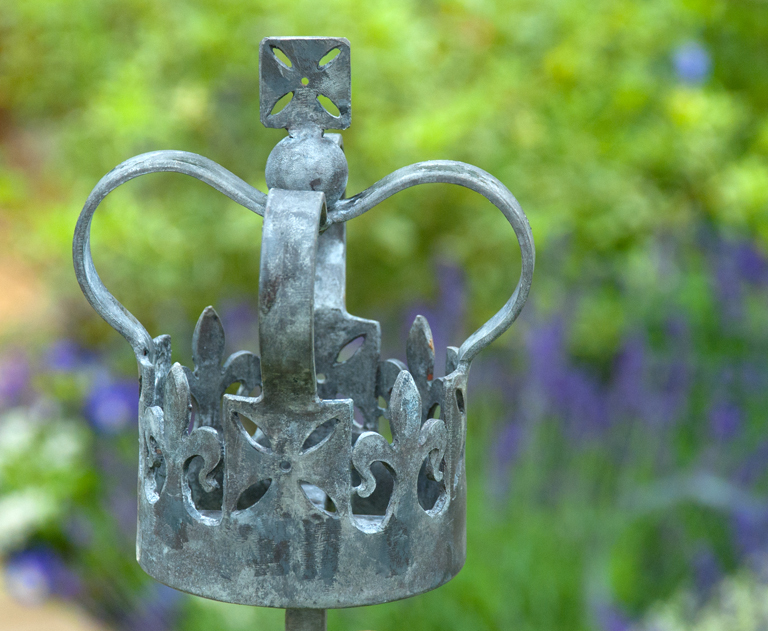 These were hand crafted by Lucy Quinnell, Blacksmith at Fired and Iron in Leatherhead….an amazing place to go and visit if you haven’t been already. 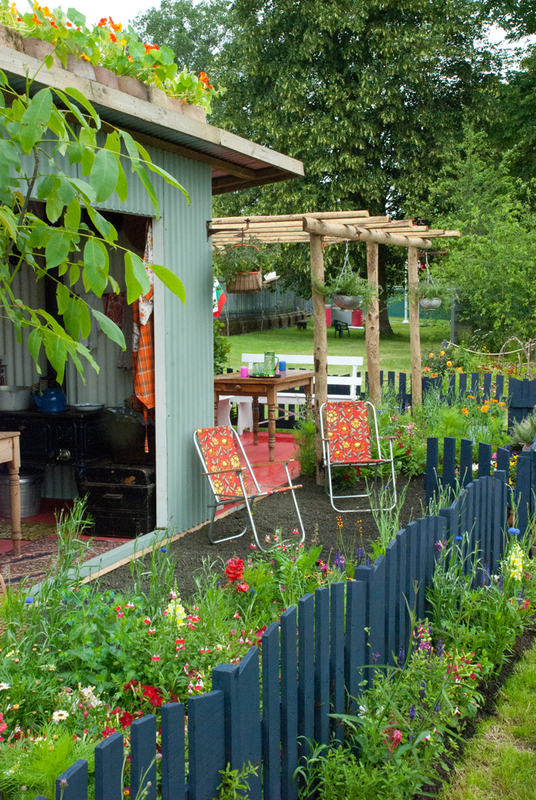 This garden represented a once dis-used piece of wasteland which had been brought back to life by a community team for everyone to use and enjoy. It had a great feel to it – as thought you really were at the back of an allotment somewhere. It was very ordered, with a place for everything, but designers Anthea Guthrie and Nicole Burnett still managed to create a slightly disorderly space that you would expect from a project with lots of hands in the pie. 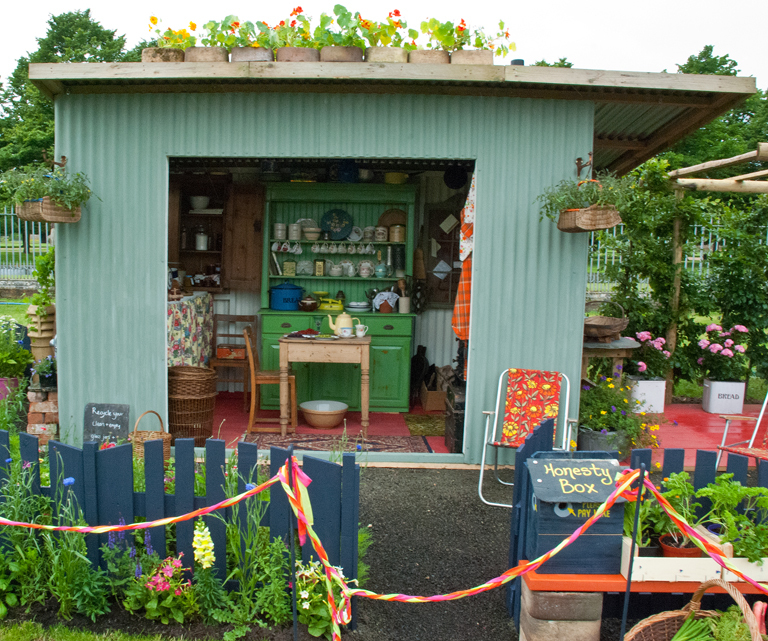 The garden was sponsored by Pretty Nostalgic and also built by them along with Chris Williams and Cath Jones. It was awarded a Silver medal. 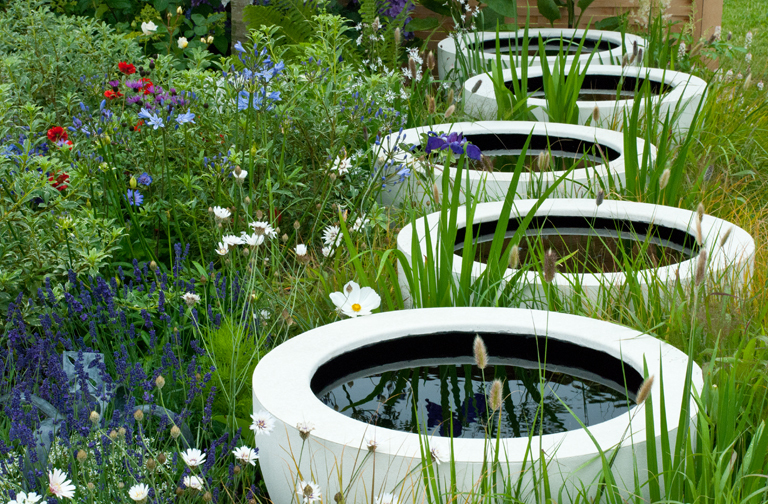 This garden was designed and built by Susan Willmott & Adele Ford and sponsored by Wyevale East Nurseries. 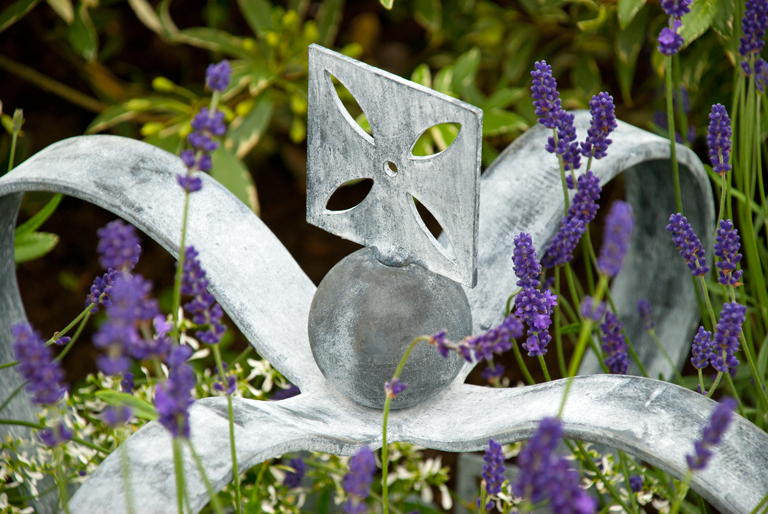 It represents part of a larger garden, a corner where you could relax and unwind. 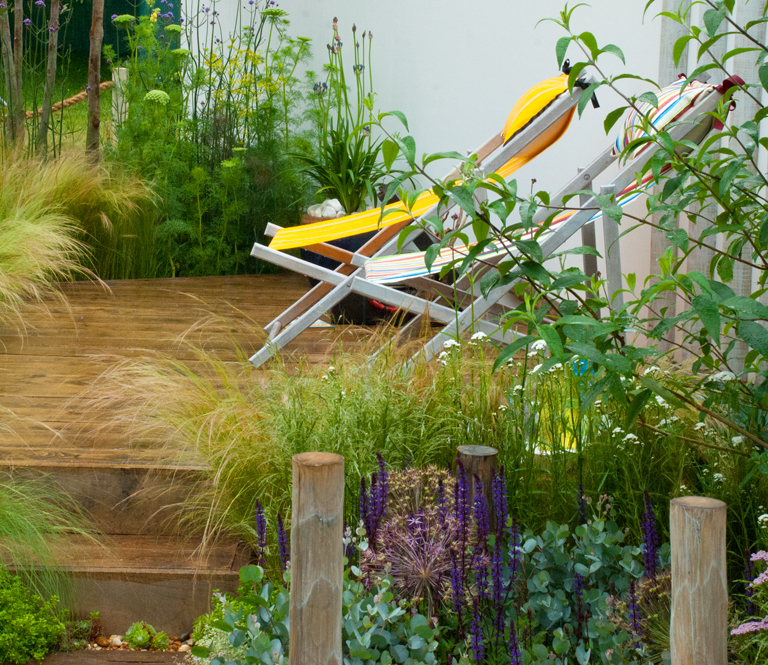 It features plants and materials that are associated with a coastal location, grasses and perennials that thrive in well drained soil in sun and timber, pebbles and shingle. 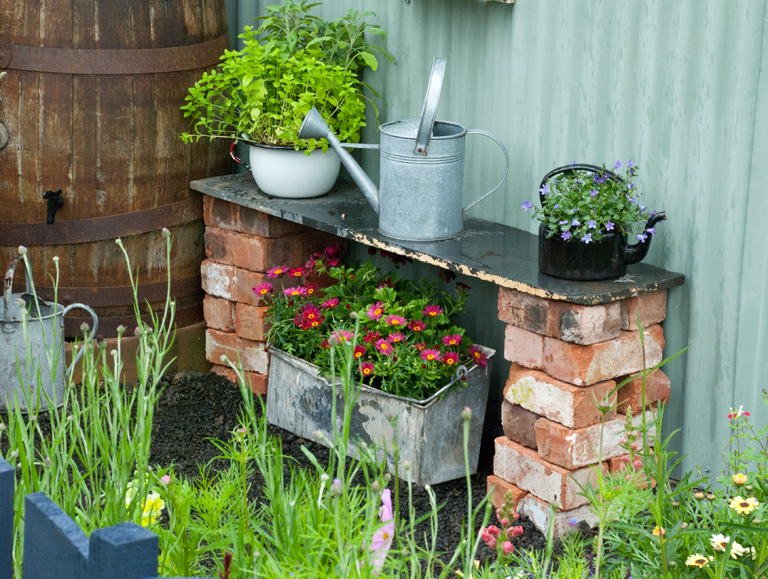 The design for this show garden won the Student Design & Build Award in 2011, a competition run by Wyvale East Nurseries. 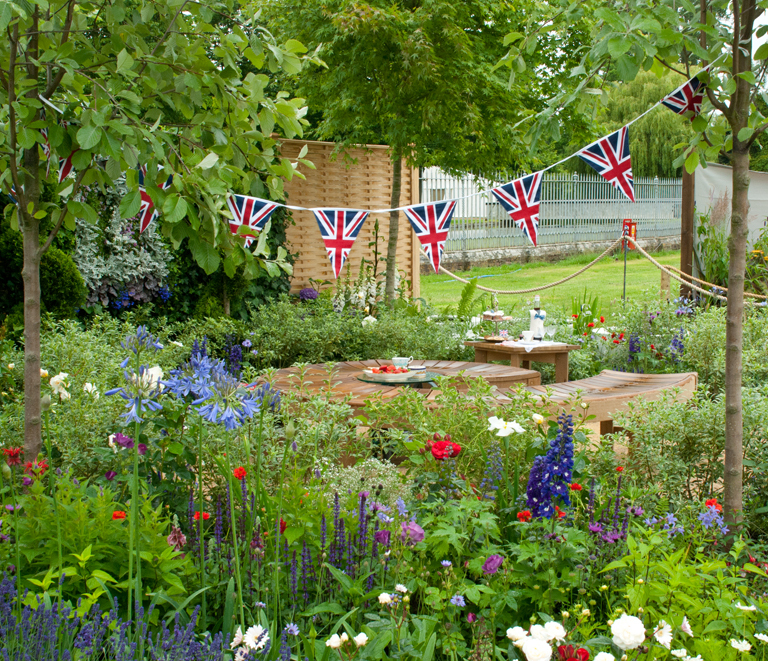 The garden won a Gold Medal.